Hours posted are for the park office. Boiling Springs State Park swimming pool is open to the public through August 12, 2018. Boiling Springs State Park, an oasis on the plains, captures some of the finest elements of nature. The park is one of seven original state parks built in the 1930s by the Civilian Conservation Corps and was named after a natural "boiling" spring that still flows. The park's namesake attraction is showcased in a natural wooden shelter and interpretive center below the park office. Overnight lodging within the 820-acre park includes 40 RV sites and 12 tent campsites, as well as group camping. A total of four cabins are also available to rent at Boiling Springs State Park. All cabins have one bedroom, as well as a queen-sized sleeper sofa in the living area. A queen-sized pillowtop bed is offered in the bedroom of cabins one, two and three, while cabin four has two twin-sized beds. Each cabin offers a kitchenette with microwave, oven, refrigerator, sink and fully stocked cabinets containing cookware and tableware. All linens are provided, and each cabin comes equipped with heat, air and a fireplace. Pets are allowed in all the cabins for a small fee. More than 150 picnic tables and grills are located throughout the park. Guests can access one of three pavilions, furnished with electrical outlets, a cookout grill and water. Visitors can also enjoy swimming in the pool, fishing in the 7-acre spring-fed Shaul Lake and hiking the trails. 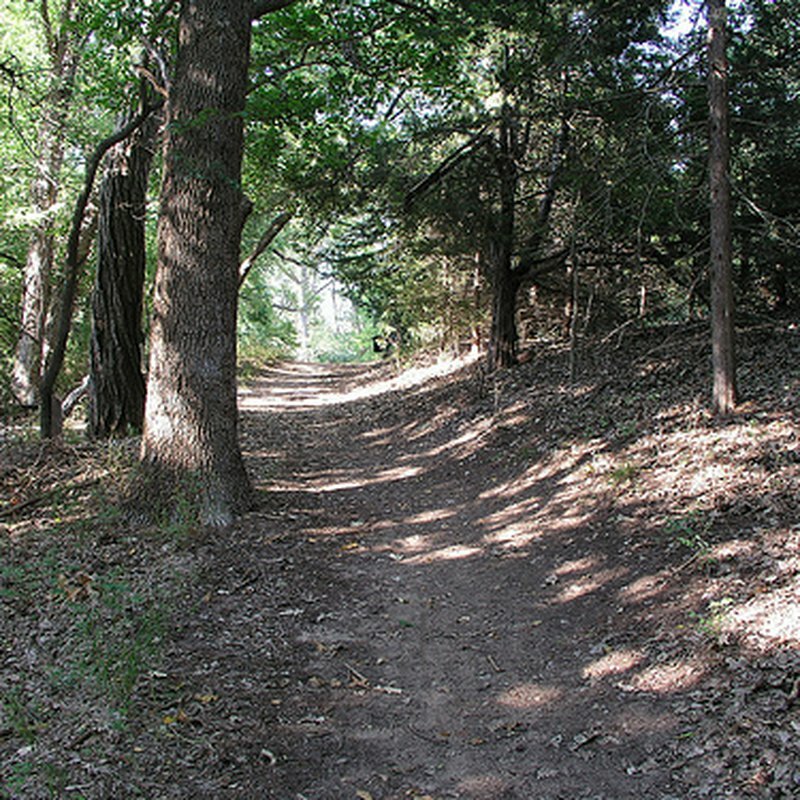 The Boiling Springs State Park Trail System includes five hiking and mountain trails of various lengths that are perfect for beginners. Get more trail information by clicking the ‘Maps & Resources’ tab above. Golfers will enjoy the privately owned and operated Boiling Springs Golf Club, adjacent to the park. An 18-hole course, which features several dogleg fairways, sand traps and water hazards. The twelfth hole is a 440-yard, par 4, requiring a tee shot up a tree-lined, dogleg fairway. Your family will enjoy the quiet beauty of Boiling Springs State Park, where nature inspires vacation. Cabin rental: $105 plus tax per night with a 2 day minimum on weekends. Holiday weekends: $130 plus tax per night with a 3 day minimum. A pet fee of $15 per day per pet for cabins. Additional charges apply for damages. A $5 fee for firewood cut especially for the cabin fireplaces. A discount (currently 15%) may be given to senior and disabled visitors on the established nightly rate per cabin Sunday-Thursday nights only, excluding holidays. Some restrictions may apply.